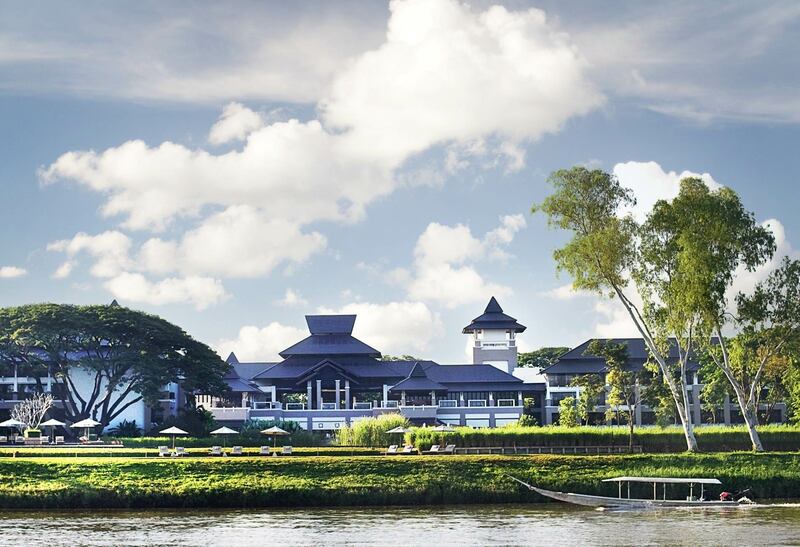 The resort, situated along the Mae Kok River, is moments from the town of Chiang Rai, the former capital of the ancient Lanna Kingdom founded by King Meng Rai. Guests can experience luxury and refinement, while exploring an area steeped in history. On an idyllic 26-rai site, our chic resort features a focus on the arts and is ideal for a family vacation, a romantic getaway, or a spa retreat. Enjoy a hill tribe visit, a Mae Kok River tour or simply a refreshing swim in the pool. The resort comprises 159 modern rooms and suites in five wings. Guests can revel in the expansive rooms, as even the smallest measures 53 square meters. Views from the balconies overlook a private lake, lush lawns, and the Mae Kok River. Blessed with natural beauty and rich cultural heritage.